What's it like to study for a psychology degree while living with serious mental illness? 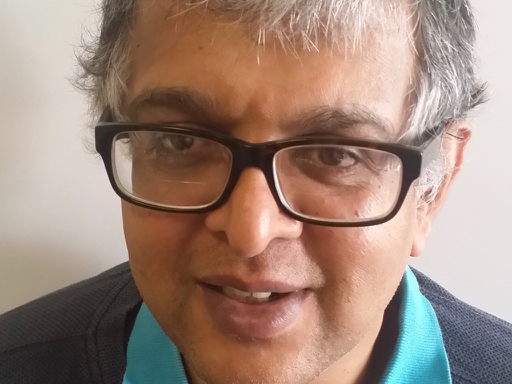 Shuresh Patel shares his story. In 1983, at the age of 18, I was first diagnosed with full-blown schizophrenia. The drugs they stuffed into me, such as chlorpromazine under the name Largactil, reduced me to a vegetable state. I was then incarcerated in a prison-like hospital. Today, the ‘title’ of my sickness is still dreadfully feared. I now have a 2:2 Psychology degree. I am no longer a ‘vegetable’. I am no longer required to be ‘kept fettered’. Yet this ongoing fear still ruins any chance of me living a ‘normal’ life. When I first started my studies, I believed that everyone experiences schizophrenia the same. As my studies continued and I completed my dissertation on schizophrenia, I learnt from the World Health Organisation (WHO) that people with schizophrenia have a combination of symptoms – for instance hearing voices, hallucinations and paranoia. However, the way people experience and react to their symptoms is on an individual basis. Each schizophrenia sufferer is unique. Treatment needs to be tailored to these individual differences. My fellow university students classed me as an outlier at the beginning. As the course progressed, we started to realise we all had individual differences in mental and physical illnesses. By the time I finished the course I realised that 'mad does not equal bad'… but yes, some of us sufferers are stressed out and suffering mental agony, which makes some of us vulnerable adults. The hardest module for me was cognitive psychology, because of my cognitive handicap due to schizophrenia – I had to sit the exam four times and just scraped 40 per cent at the last sitting. My schizophrenia made it difficult to think straight because my condition ebbs and flows with stress. However, I use my mental illness experience to cope with this cognitive handicap and that is how I passed my degree. After I had gained my degree, I used the knowledge to help me become a better primary carer to my elderly schizophrenic mum. I knew that she and I must take our clozapine medication every day… a possible break in medication for two days could mean we both have to be re-admitted to an institution to titrate our medications. My mum no longer walks the streets at all times of the day and night in a state of psychosis. I have learned from my degree that social support and medication are a lifeline for me and my mum. Due to the sedative effects of my medication and my occupational work health assessments, the jobs I can get are considered menial (e.g. Domestic volunteer labour work and volunteer gardening). However, I find the volunteer work psychologically cathartic and therapeutic. My vast improvement over the last 30-odd years has been due to ongoing and wonderful medical research resulting in the latest ‘wonder drug’. I have also pursued and am still pursuing long term counselling therapies which support the positive effect of the medications. I would like to see more research into long-term therapies and medication. The current ‘medical model’ only recommends a short time limit counselling and therapy response. When studying my Psychology degree, the University of Bolton funded my long-term therapy project. This long term funding is not currently available to every student or even hospital patient. My main passion is raising awareness that long-term therapy could be beneficial for schizophrenia sufferers, and that the ‘medical model’ of short-term therapy intervention may not be as hyped… if it was, why would the student suicide rate be the highest it has been for the last decade? We also need more of a focus on prevention. My younger brother tells me that for at least nine years before 1983, he noticed that I was manifesting mild irrational phobias and visual hallucinations and that my fellow juniors were frequently ‘entertained’ by my antics. Yet no bells were ringing with my teachers. In secondary school my fellow students increasingly regarded me as a ‘weirdo’, but still my teachers and elders were missing those by now pretty advanced schizophrenic symptoms. Is it too much to hope that in 2017 such signs would be recognised, and full-blown schizophrenia averted?